It takes both skill and craft to tend a vineyard and to tease a beautiful wine out of the barrel. Yet, exceptional wines also require science. Oregon’s agricultural scientists — viticulturists, entomologists, virologists, pathologists, enologists — balance short-term priorities with long-term needs to develop a robust research agenda needed to address the critical problems growers and winemakers experience in the field and cellar, today and in the future. This past year, Grapevine Red Blotch Virus and the effects of wildfire smoke represented two of the most-concerning subjects researched in 2018. A relatively new blight in Oregon, red blotch may cause under-ripe fruit and reduced crop loads. 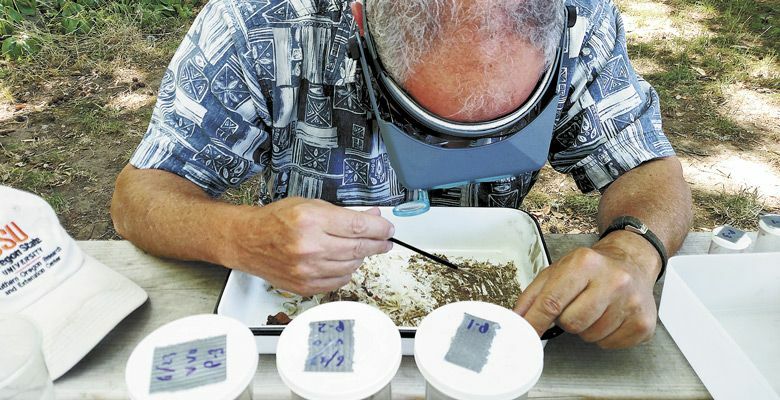 There are still many questions about the disease, according to Dr. Robert Martin, research lead and virologist with the Agricultural Research Service Horticulture Unit of the USDA: How does it impact the plants? How does it impact the fruit? And, most importantly, how does it move? Are there things the growers can do to mitigate the virus? Domaine Serene accelerated red blotch research in 2018 with a gift of $500,000 to OWRI, which, if matched by industry contributions, will support a $1 million funding pool. 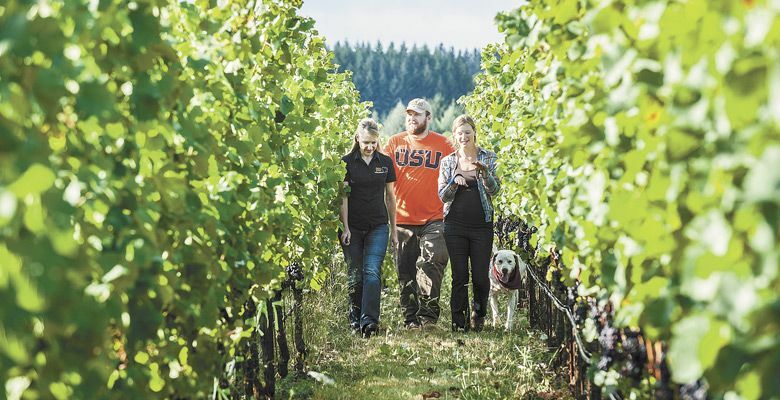 OWRI faculty members are already working on the problem thanks to a 2017 USDA Specialty Crops Block Grant of $174,936 through the Oregon Department of Agriculture (ODA), in addition to a 2018 grant of $73,500 from the American Vineyard Foundation. The Oregon Wine Board (OWB) has also funded red blotch research. OSU Southern Oregon Research and Extension Center viticulturist Dr. Alexander Levin has served as principal investigator on these projects, bringing water stress, irrigation management and the effects of climate change into the complex study. Red blotch represents a fine example of how scientists from many disciplines work together to solve problems. Smoke taint is another, and, in 2018, OSU formed a collaborative team led by James Osborne, OSU’s wine microbiologist, and Elizabeth Tomasino, a sensory analyst. Oregon scientists are also working in collaboration with USDA-Agricultural Research Services (ARS), and faculty at the University of California, Davis and Washington State University, where nearby vineyards have also been subject to intrusive smoke. Data is one thing, but influencing grower practices is another, so OSU researcher Dr. Patty Skinkis works with growers around the state in their vineyards. For example, there’s a common assumption in the wine industry that low crop loads equal high quality fruit, but Skinkis holds seven years of evidence to challenge the assumption. 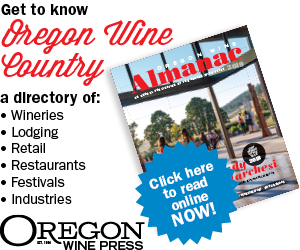 Typically, wine marketing and tourism research has been funded by ODA and Travel Oregon. Yet, in 2017, OWRI added an applied economics arm, signaling the importance this aspect of research has on the wine industry. “We’re looking at wine clubs and how to improve the efficacy of [them], tasting room dynamics from a consumer behavior standpoint and how to best use the tasting room point of sale,” Chien commented. Travel Oregon funded seven wine-related projects in 2017 and 2018 through wine country license plate fees, two of which involved research to develop wine tourism demographics. ODA, with funding from the USDA Specialty Crops Block Grant program, has historically focused on wine marketing and promotion, but according to ODA staffer Gabrielle Redhead, the department is more inclined now to fund research and would like to explore studies related to the Specialty Crop Program priorities. Funded by “a tax on the sale or use of all agricultural products used in a winery for making wine, as well as all vinifera or hybrid grapes or grape products exported out of Oregon,” OWB also conducts wine marketing and tourism research in its work to advance the industry. In 2017 and 2018, OWB allocated $350,000 to research supporting seven OSU and USDA-ARS projects. In 2018, OWB conducted a series of grower conversations around the state to help shape their future research priorities. No matter the domain — basic sciences, applied agriculture or consumer behavior and market economics — research takes dedicated scientists, time, focus and money. OSU viticulturist Dr. Alex Levin calls research a stair-step approach to what is now a robust wine industry.